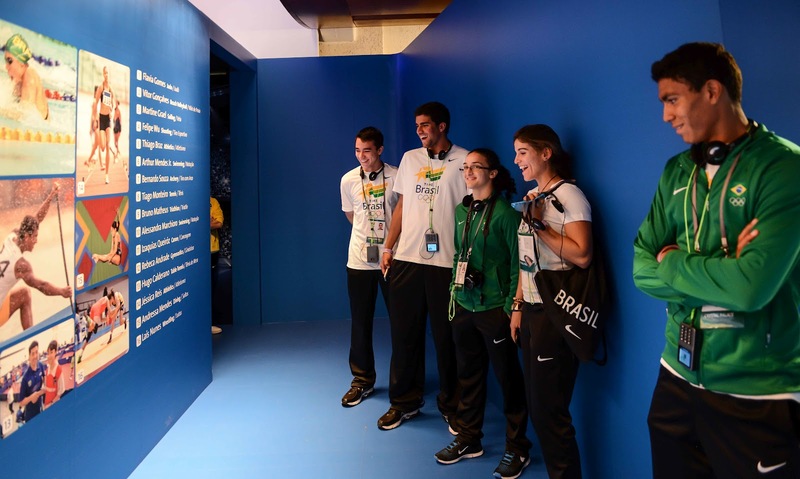 Young brazilian athletes from the Olympic Experience project, sponsored by the Brazilian Olympic Committee, were surprised to see themselves on the exhibition Passion and Transformation, at Casa Brasil, in Somerset House. Hugo Calderano (table tennis), Vitor Gonçalves (beach volleyball), Flávia Gomes (judo), Martine Grael (sailing) and Thiago Monteiro (tennis), from left to right, were thrilled when they got to the "New Generation" section. 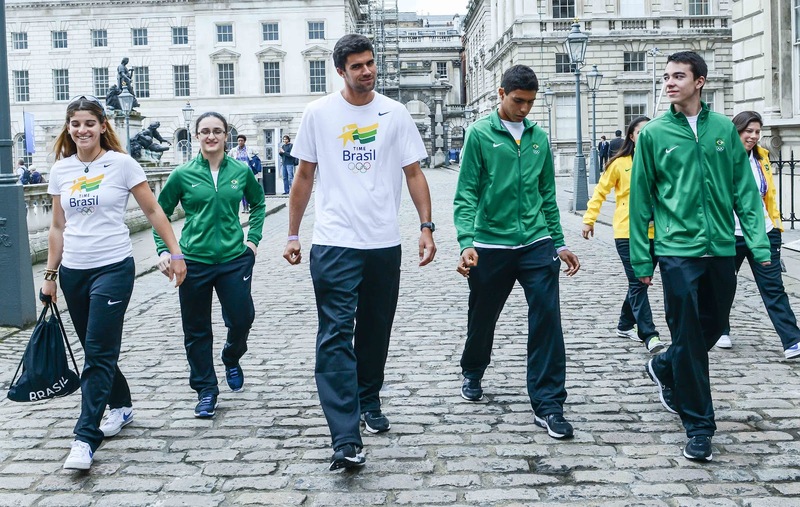 After going through the exhibitions at Casa Brasil, the athletes took a walk around Somerset House's courtyard. The Olympic Experience project has the objective of getting young promises from the Brazilian Sport to live the spirit of the Olympic Games before competing for real in the biggest sport event of the world, so they can face the challenge of representing Brazil in the Olympic Games in a natural way.